on 19.09.17 in Awards, Climate action . 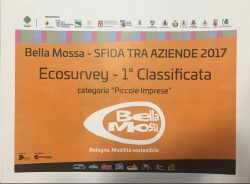 Ecosurvey has been recognized as the most sustainable company Bologna Bella Mossa 2017 ranked first in the Small Business category in the Bella Mossa 2017 program. 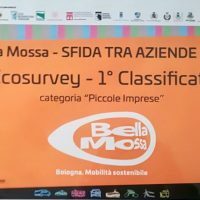 BetterPoints – “Who Moves Well Is Awarded” – Accounts for Movements by Sustainable Media walk, bike, bus, train, car sharing and car pooling and sign up with the Beautiful App App for iOS and Android. 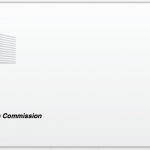 “Small Company” award assigned to Ecosurvey®. 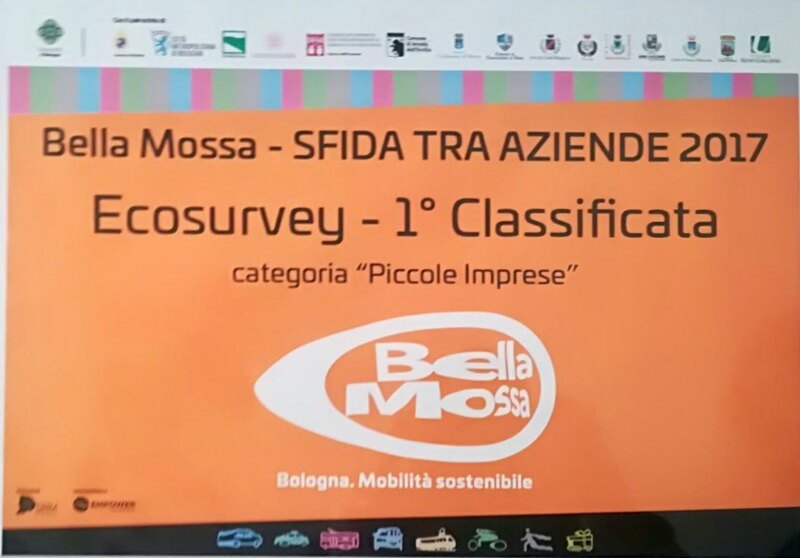 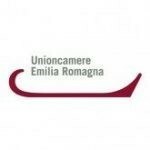 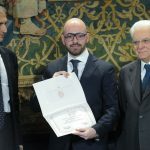 The prizes were awarded by Tommaso Bonino of SRM Transport and Mobility Organizers of Bella Mossa 2017 and the Mobility Policy Expert, Irene Priolo, in the European Week of Sustainable Mobility Week 2017 promoted by the European Commission. 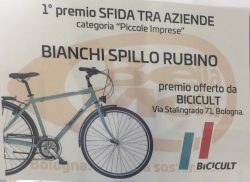 In addition, Ecosurvey® was awarded a sponsorship of the BICICULT event with a tribute delivered by Massimo Monti, a real bike-cult: BIANCHI SPILLO RUBINO. 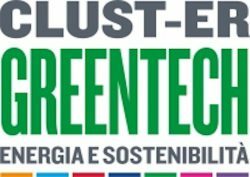 Ecosurvey® as part of its Environmental Policy adheres to GIP Green Industry Platform [UNIDO] and is committed to protecting the environment through consulting, design and use of environmental practices based on the principles of the circular economy and the safeguarding of natural resources.